Both BoA and Black Pink’s Jennie wore the same Asymmetric Leopard Print Mini Dress Noir Jade, a glittering silk dress from well-known fashion brand Saint Laurent, which impresses with its jade-hued leopard print and bare-shoulder style. The fancy dress is currently sold for $5000. BoA wore the beautiful dress for her picture and video teasers of her comeback ‘CAMO’, in June 2017. As always, BoA looks classy and chic, choosing to wear a bright red lip stick, big, metal linked earrings, while her dark cherry hair flows naturally over her left shoulder. Jennie, as BoA, looked stunning in the beautiful Saint Laurant dress while posing for DAZED Korea’s April 2017 Issue. She chose to wear a very natural make-up, her lipstick’s hue matching the color of her big tassel earrings. 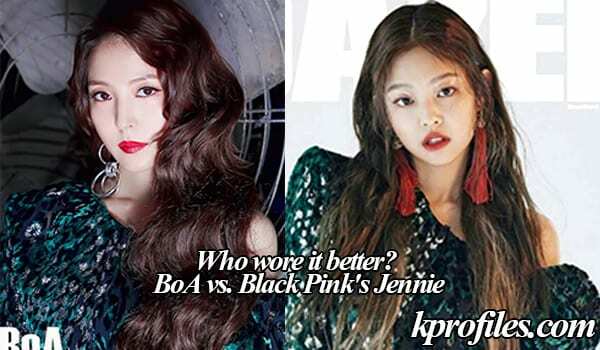 BoA vs. Jennie: who wore it better? Out of the two, who wore better this chic Saint Laurent dress: BoA or Jennie? Feel free to comment below. BoA for me. She looks classy. Are you serious ? 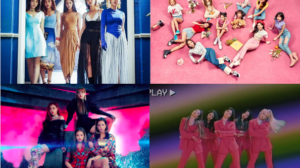 BoA is queen of the kpop.Who is Jennie? Duh……you dunno Jennie?Like seriously dude? Hey Deidre, I’m a BLINK, but you’re seriously so rude. 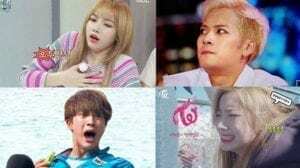 I love Jennie, but I love BoA and Irene and Jessica and so many others. You need to open your mind, and stop being rude. BP is not the only group out there. BoA! Come Best of Asia, is literally best. Jennie looks great as well but I think BoA rocked it! The outfit is kind of mature, so I’d say it definitely looks better on BoA who’s much older than Jennie. Jennie, although she has a great fierce expression on, still has a very young, cute face. The only reason Jennie has more votes is because she has more fans on this site. This poll is barely about the outfit, it seems to be more about who has the most young fans with enough free time to take polls on Kprofiles. Both of them look beautiful. i have to say Jennie. I think Jennie looks better only because she looks more fierce and like a diva. This isn’t biased cause I like BOA more than Jennie but I think Jennie looked better. Jennie is a really popular idol from Blackpink! 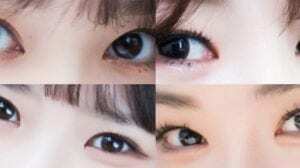 If you followed kpop news, you would know about her! lol, new queen coming in girl. Lol Jennie nothing compared to BoA. The only reason why kpop is popular is because of boa she was the first star and the first real popular Korean.